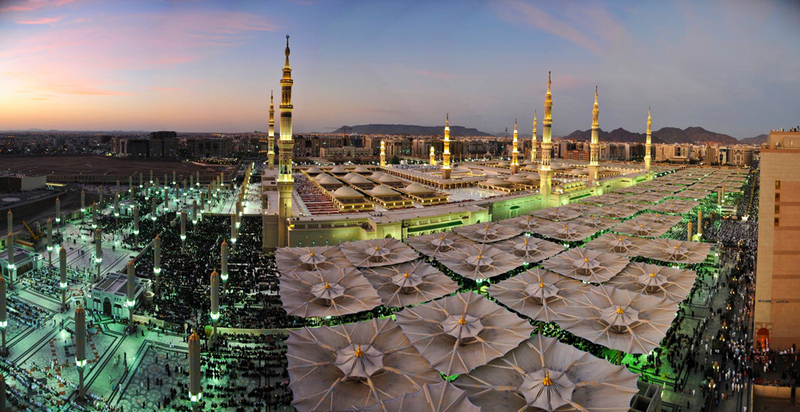 Millions of pilgrims each year flock to the mosque in Medina al-Munawwarah. 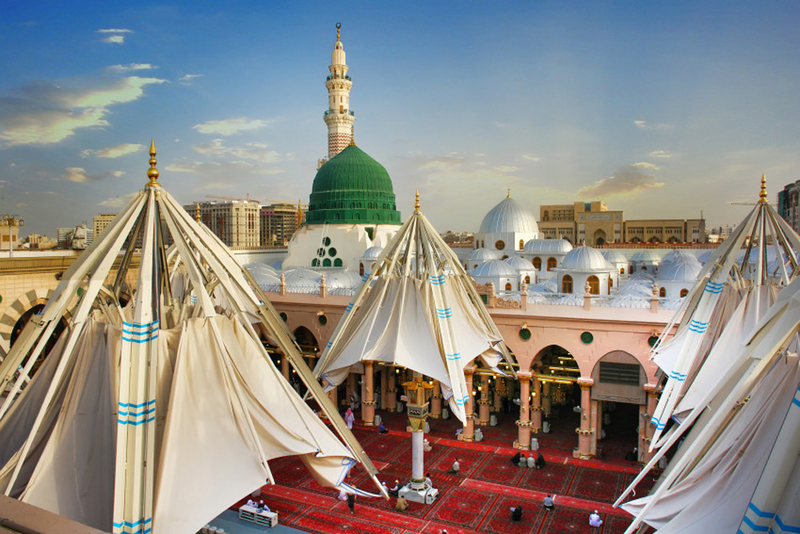 The traditional time of pilgrimage in recent years, has been in the cooler fall and winter months. This time frame is changing gradually. 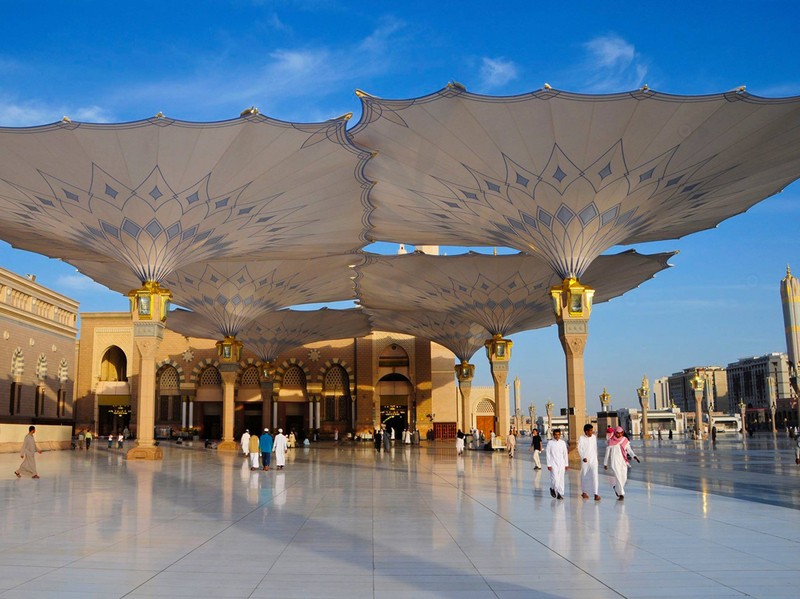 The time of pilgrimage according to the lunar calendar, is returning to the extremely hot summer months, making a sunshade absolutely essential. 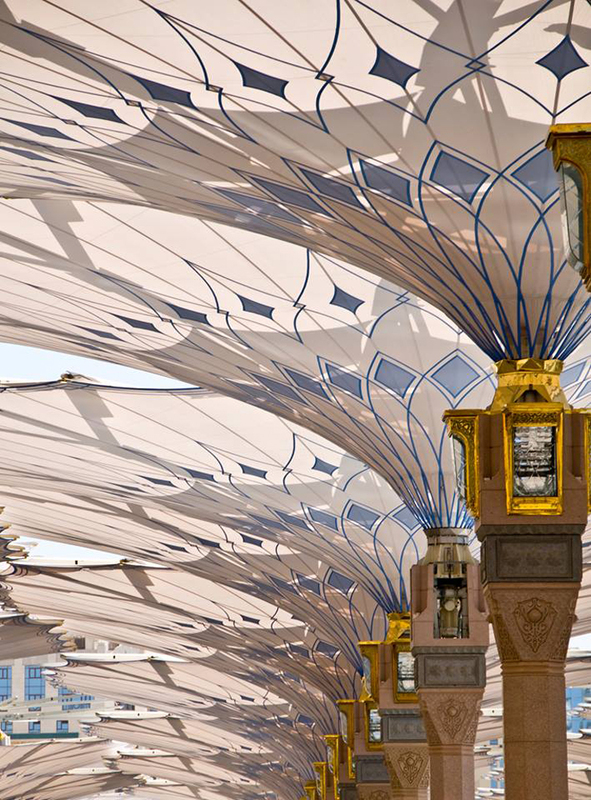 To meet this needs, SEFAR Architecture provides 250 giant umbrellas covered with PTFE fabric. 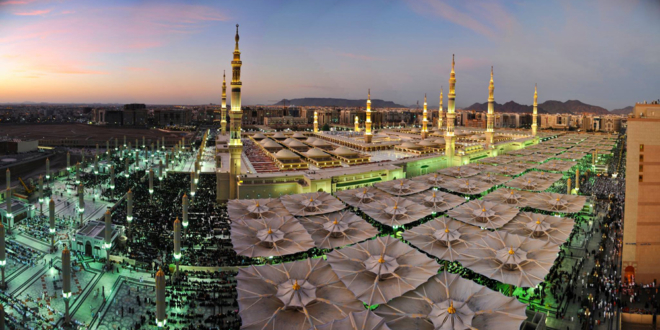 Each one is with a surface area of 25.5 x 25.5 m, when it is open and 20 meters high. 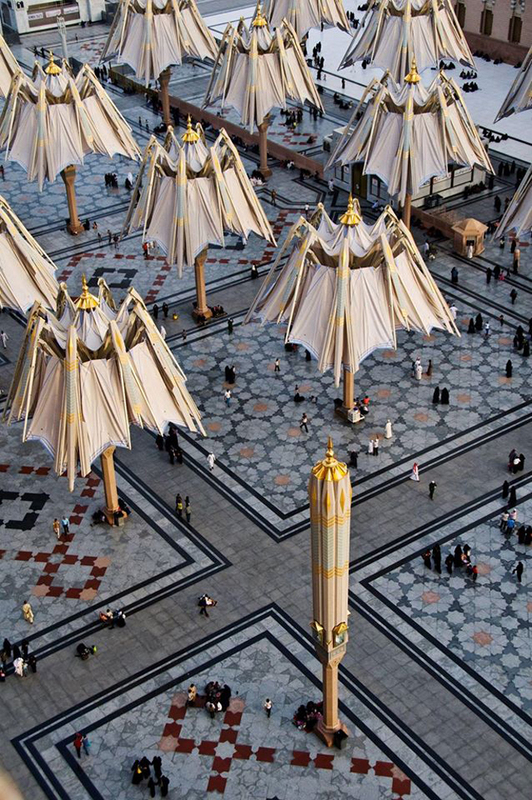 These umbrellas provide a shaded area of 143,000 m2, greater than the floor area of the mosque. They decrease the ambient temperature by at least 8°C. 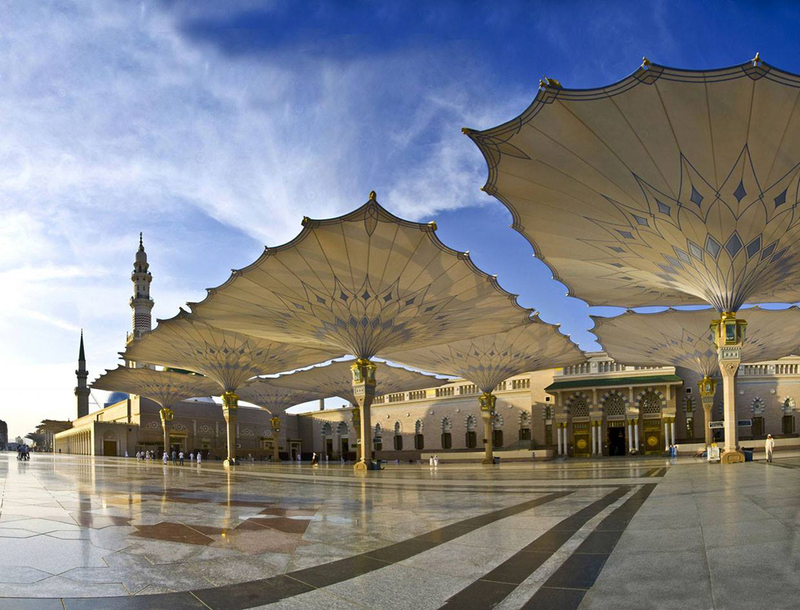 When they are closed, each umbrella including its working parts and is encased in a elegant column. The opening and closing time takes only three minutes. 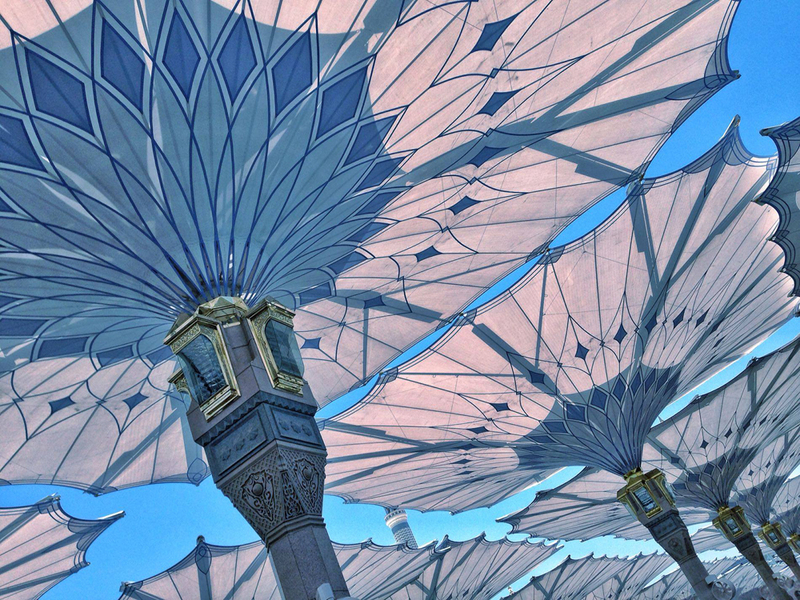 It was clear from the beginning that only PTFE fabric would be able to meet the exceptional situational demands. In addition to UV-stability, the material had to have maximum flexibility, an extremely high tensile strength owing to wind load, color fastness, effective shading and appropriate light transmission (the customer choose a sand colored fabric) and also the fire resistance.